Hey all! After a long time we are back again with fresh post. 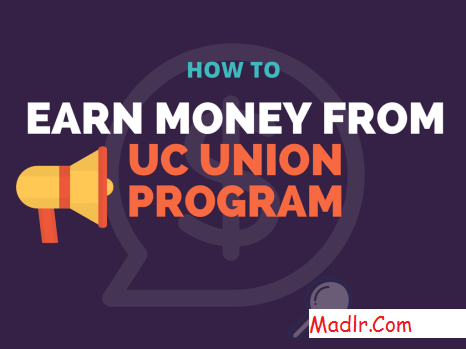 In this tutorial, I will teach you ‘how to make money online from Uc Browser, Free TalkTime, 360 Mobile Appshare campaigns‘. Whenever you earn 10-15 Rs from such apps, at the same time developer earns 30-40 Rs. So, why not to reduce this huge barrier? Also, using this method you will be able to transfer your earned cash directly into bank account! Isn’t it so cool? So let us begin:- You might be familiar with the most popular UC web browser. Recently, they have opened an app affiliate portal which is named as “UC Union”. Actually, most of the free recharge apps earn money using such programs only and they pay very small commission to us. 2) Just go to ‘Management‘ section and select “submit new site/app” option. Then do the following setting: > Cooperation : Cash > Type : site (implementing dynamic ads) > Site name & url : Put anything > Category : Choose any one from the given list. > Integration method : Link > Ad format : Appwall After approval, go to “check campaign list” section. Refer to the screen shot given below- Then you will see 2 options: 1) Recommended campaign 2) All campaign Select 2nd option as shown:Now, you will get list of several apps such as freecharge, paytm, Hungama, clash of clans and many more. 3) Right now, Uc Browser, Free TalkTime, 360 Mobile are offering 0.35$, 0.30$ per each install. That means, even if you refer Uc Browser, Free TalkTime, 360 Mobile app to 2 of your friends, you will earn 120 Rs. And great part is that you can transfer all this money into your bank account as a real cash! Some campaign may even earn you 0.80-1$ per each app install. Here is the example:4) Now, select the app that you want to refer from the list and click on ‘promote it‘ button (as shown above). 5) You will get your unique referral link. Now ask your friends to install the app using your link. Now you will start receiving corresponding app commission. 6) You can check your earnings in ‘report’ section. These stats are not real time. It takes 1 day to update your yesterday’s data. If you have any doubt or queries, don’t hesitate to ask. We will try to resolve them as soon as possible.